Chhabi, a young girl, lives in a village by a river with her mother. Her ailing father lives away from them in Cuttack, where he teaches at a school and send them a little money from his meagre salary every month. He hopes to find a decent groom for his beautiful daughter but his sudden death shatters his world and renders the life of his wife and daughter extremely fragile. Almost everyone in the gossip-ridden, claustrophobic village turns against Chhabi, maligns her and conspires to marry her off to a village idiot, as if being poor, beautiful and vivacious is a crime for which she deserves to be penalised. The ruthless village chief, whose son once wanted to marry Chhabi, and was prevented from marrying her on account of her poverty, blackmails her into accepting the match. During a trip to Cuttack, where Chhabi and her mother go to sell off their homestead land to a fellow-villager to arrange money for the wedding, the young girl gets to meet the man her father had chosen as her prospective groom. The chance meeting fills her heart with strange longings but she soon learns that he is already betrothed to another girl. Back in the village, she resigns herself to the unspeakable fate waiting for her and preparations for the wedding begin. Then, suddenly, her mother, who had timidly submitted to the dictates of the village chief and other villagers, musters the courage to confront them and cancels the wedding. She finds an ally in the village chief’s son, who goes out to find a groom for Chhabi. Miraculously a groom is found, who turns out to be a cousin of the young man her father had wanted her to marry. Presented in the voice of the girl, the novel movingly evokes life in an Odia village before independence. The action unfolds against an idyllic landscape, which provides an unlikely backdrop to meanness, heartless cruelty, and small triumphs of human generosity. The novel quietly dramatises conflicts between duty and desire, between stifling conventions and assertion of individuality. The voice of the narrator bravely acknowledges and expresses the power and ambivalence of desire and never subjects it to puritanical censure. This is remarkably bold for an Indian novel written almost eight decades ago. Kanhu Charan Mohanty was an Indian Odia language novelist, who is considered as one of the most prolific and indeed the most popular novelist of the post-independence period. 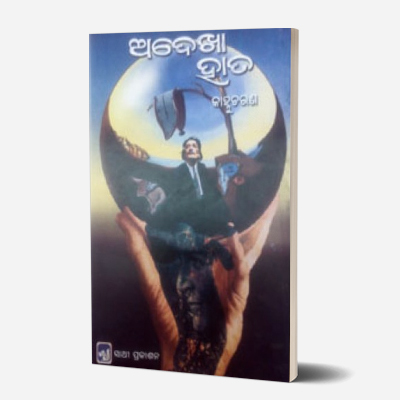 Mohanty has mostly written about the Odishan rural society and is known for depicting social realism. Most of his work highlighted problems associated with the plight of woman, caste and economic exploitation. Some of his important works are, Adekha Hata (The Unseen Hand, 1939), Shasti (The Punishment, 1945) and Ha Anna (The Famine,1933). Mohanty won several awards for his literary work. He was awarded the Sahitya Akademi Award in 1958 for his novel, Kaa, published in 1956, the Jeevan Rang Prize in 1970, and the Neela Saila Award in 1992. He was also selected as one of the fellows of the Sahitya Akademi, however Mohanty died on 6 April 1994 at the age of 87 before the honour could formally be conferred upon him.